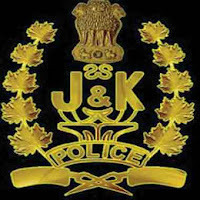 J&K Police Constable vacancy 2015. Application are invited from Candidates who belong to J&K State. Jammu and Kashmir police Recruitment district wise detail given below. Educational Qualification :- Candidates should have passed matriculation. Age limit :- Minimum age limit 15 years and maximum age limit is 28 years. and then click to "Notification" option. after that click on "Recruitment Notice"
and download the proforma of application form.